Profitable Bobcat Trapping by Jim Helfrich, Professional Trapper. 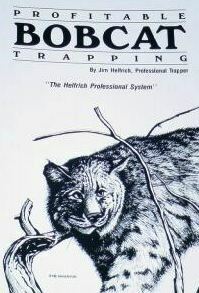 "The Helfrich Professional System"..........This book is a Cat trappers must have. Ten chapters cover "The animal, equipment, attractors, location, bedding, cat funneling, sets, miscellaneous, records and thieves. Photos included throughout. 23 pages.